32 oz bottle Fish must be shaken or stirred in the container prior to each use! 1 gal bottle Fish must be shaken or stirred in the container prior to each use! 2.5 gal bottle Fish must be shaken or stirred in the container prior to each use! 2.5 gal bottle (2X2.5 CASE) Fish must be shaken or stirred in the container prior to each use! Price is for a full 5-gal case (2 X 2.5 gal). Order Quantity reflects the number of full cases being ordered. Nature’s Essence FH 2-3-1 is a liquid hydrolysate of fresh North Atlantic Fish. Nature’s Essence FH 2-3-1 is a natural product. It should be stored in a cool, dry location out of direct sunlight. Dilute only as much concentrate as needed for each use. The oils in fish hydrolysate will naturally separate from the solids over time. Always stir, shake, or agitate the container prior to each use. 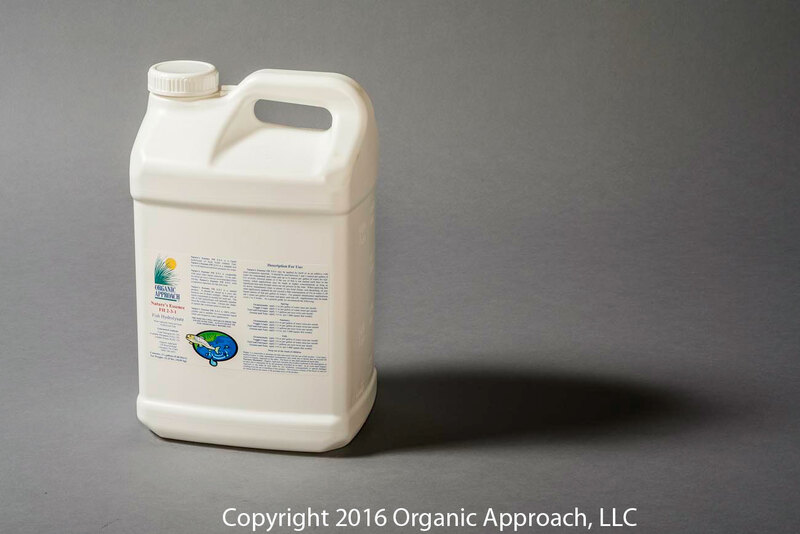 Nature’s Essence FH 2-3-1 is 100% water-soluble and is suitable for conventional liquid foliar and irrigation water applications. Nature’s Essence FH 2-3-1 is compatible with most other liquid materials. To be safe, an initial jar test is always recommended when mixing Nature’s Essence FH 2-3-1 with companion materials for the first time. Greens and Tees: apply 4-8 oz. per 1,000 square feet weekly.